Strawberry StarDawg from Holy Smoke Seeds is an exciting new cannabis strain with a superb genetic pedigree. 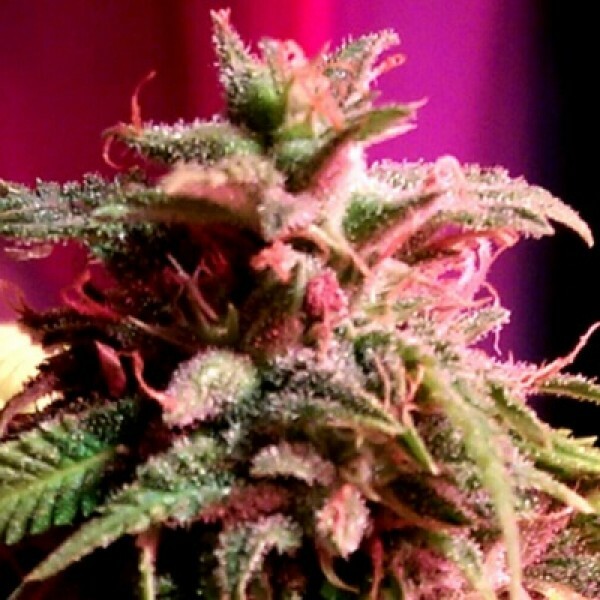 Strawberry StarDawg Feminized Marijuana Seeds by Holy Smoke Seeds: Strawberry StarDawg from Holy Smoke Seeds is an exciting new cannabis strain with a superb genetic pedigree. Using elite genetics from friends and colleagues in the industry, the expert breeders at Holy Smoke have created Strawberry StarDawg by crossing their own Strawberry Diesel strain with StarDawg Hash Plant from Topdawg. Test grows, which were conducted in Holy Smoke's legal climate, showed prolific and healthy plants which produce a staggering level of trichome coverage and an equally impressive terpene profile. It's all about the incredible flavours with Strawberry StarDawg - pronounced strawberry goodness floods the palate, thanks to the Strawberry Diesel genetics. This is backed by the resin production and raw power from the StarDawg Hash Plant. Effects perfectly reflect the elite genetic pedigree - expect a soaring cerebral euphoria and deep physical relaxation. This is a seriously potent medicinal variety of marijuana.